April has arrived, and now it’s time to find a roommate for next year. Perhaps you’re one of the lucky ones who has already found your perfect partner. You’re set to coast through the next few years with the same roommate. For others, unfortunately, April and housing sign ups means needing to start the search anew. Housing sign ups are on the evening of April 19, and On-Campus Housing applications are due April 12. 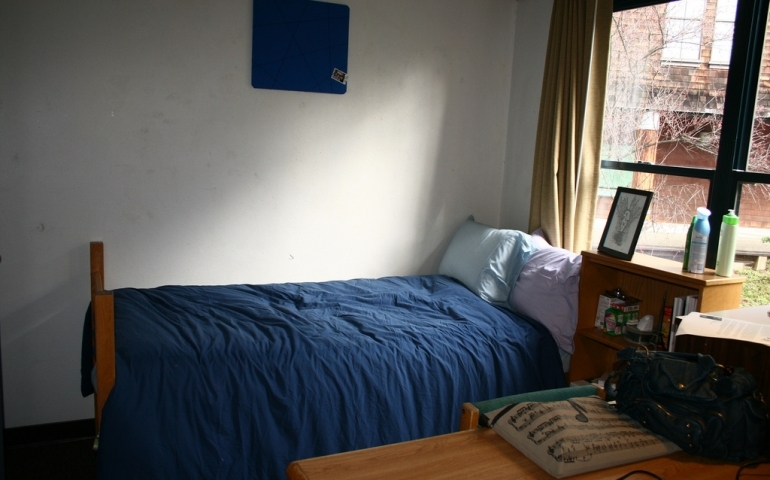 There are several important considerations to take into account when you’re looking for a roommate. The first step is to find possibilities. A good place to start off is by asking your friends and acquaintances if they have roommates or if they know of anyone who needs a roommate. The bonus here is that your friends should know you well enough to serve as decent judges. Your friends are likely to have a good idea of which potential roommates you would get along with and which ones you would end up strangling in their sleep. Hopefully, your friends will also care enough about you to steer you in the right direction. Friends can help you in your search. However, not all friends make for good roommates. Living in the same room as someone for a year is quite different from sleeping over. It can be difficult to live in close quarters with another person. Friendships have been known to be damaged, or even ruined, because of this. Once you have found a possible roommate(s), it becomes time to get to know them. You’ve probably learned at some point in your life that first impressions aren’t always accurate. However, sometimes they are. “If you can look at their face and not feel like hitting them, it’s a good start,” said Dianne Wade, junior English major. If you clash with someone from the very beginning, there’s a good chance they wouldn’t make a good roommate for you. Jasmine Abraham, a sophomore English major who is currently an RA in Bracken, stressed the importance of making sure your roommate doesn’t interfere too much with your schedule. “If you go to bed at 11 p.m. and [are] a light sleeper, you probably don’t want a roommate that goes to bed at 2 or 3,” said Abraham. Find out what your potential roommate is interested in. Make sure their favorite hobby isn’t holding blood sacrifice rituals in the middle of the night. Roommates don’t have to be interested in the same things, but having some common ground will help you to build a stronger relationship. Now, you’ve scouted out your possible roommate. You’ve learned a bit about them. The next step: talk to your target’s former roommates. You need to find out early on if there are any horror stories or red flags. Be honest in your conversations with your potential roommate(s). Lying about your habits will only come back to haunt you. Similarly, make sure they’re being honest with you. If you live in a pigsty but tell your future roommate you’re squeaky clean, that will become an issue. All healthy roommate relationships begin with honesty, friendliness and the knowledge that therapy is always available.